Our team is seasoned in aiding clients through the building process working with architects, other engineers and contractors. We have completed commercial, industrial and higher education projects from concept through close out. Description: Project to rebuild Riverside Park after it was decimated by flooding in 2013. Construction included removal of an undocumented landfill, earthwork, utilities, building construction, ballfield construction, landscaping and irrigation. Description: The new Animal Care Campus will enhance animal care, enable more programming and better meet industry standards and best practices. 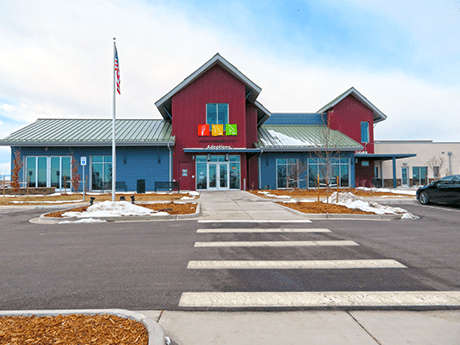 The new shelter includes intake, outcomes, adoptions, surgical, holding, behavioral treatment, animal control, office and common community space. Description: Redevelopment of two city blocks in downtown Loveland including a hotel, parking garage, multi-use, retail, residential, movie theater, plaza space, and improvements to the public right-of-way. Project included over 300,000 GSF of built space across multiple buildings.